This school for community leaders in the populous and rapidly growing municipality of José Leonardo Ortiz, Chiclayo, builds on an earlier 2-year project run by our partner Centro Santa Angela with support from Heart-Links. Seventy-eight men, women and youth are taking part in the latest session of the José Leonardo Ortiz Leadership School, a reflection of the demand for and growing interest in preparing community leaders and, by extension, civil society. The current session has been shaped in part by the urgency of responding to the floods that hit the region early last year. Participants have accompanied and advocated for families affected by the emergency by touring the affected areas, delivering aid, providing psychological support, mediating in negotiations with the authorities, helping victims navigate the various relief and aid programs offered by the government or other agencies, and participating in a regional conference on sustainable reconstruction. 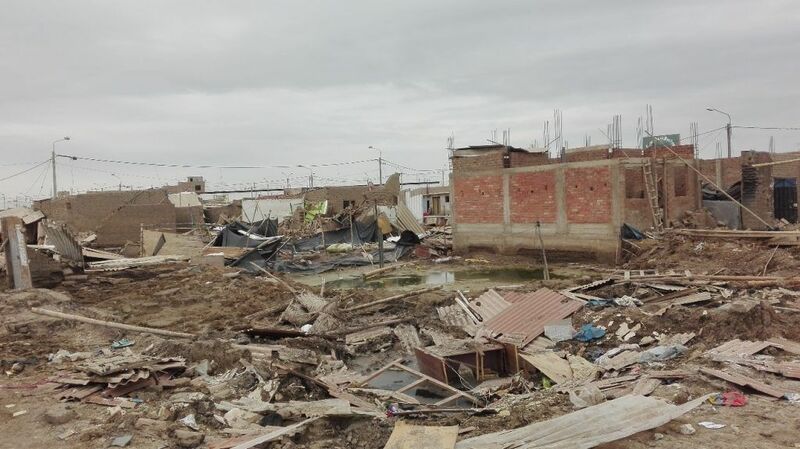 A neighbourhood after flooding in 2017. 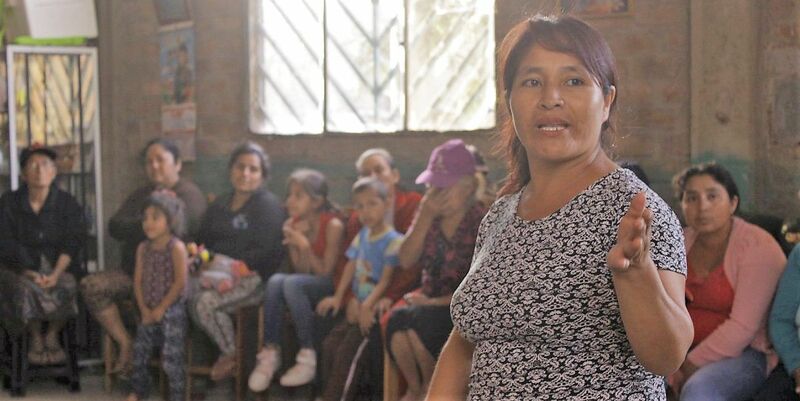 As in the earlier session, Centro Santa Angela gives priority to enlisting women in the program and to encouraging leadership that is democratic, transparent, inclusive and committed to human and community development rather than practices that are authoritarian and exclude. Leadership school participants continue to monitor and push for implementation of the Governing Agreement reached with municipal authorities in 2014. This involves keeping abreast of municipal actions, meeting with the mayor and other functionaries, seeking input from community members on the quality of public services, preparing reports on the state of compliance, and reporting back to their communities in public meetings. Heart-Links is grateful to the Roncalli International Development Foundation for their financial support of this project.